Sho Asano was born in March of 1990. 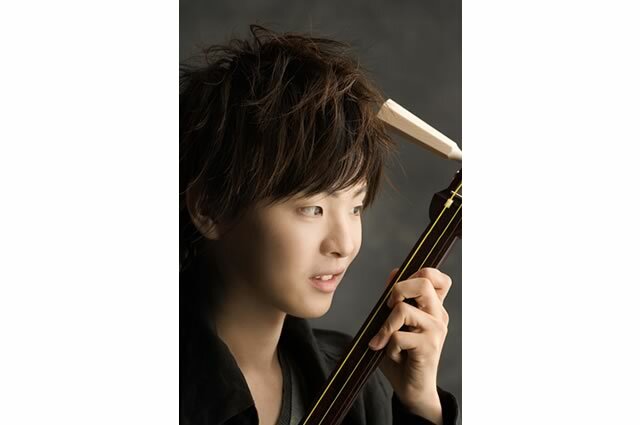 He is currently considered one of the young stars of Shamisen and Japanese traditional music. At the age of eight, he won the Tsugaru Shamisen National Competition as the youngest champion in the D category for players under 15 years old. Since then, he broke numerous records in competitions. Mr. Asano was born into a family with a music tradition. His grandfather played Shamisen, and Mr. Asano started playing Wadaiko, a Japanese drum at the age of three and Shamisen at the age of five. From 2004-2006, Mr. Asano won the first prize the Tsugaru Shamisen National Competition in the A category for all ages with advanced players. In the summer of 2005, he performed at Aichi Earth Expo. In December of the same year, he gave a joint concert with Sayuri Ishikawa, one of the most famous singers of Japanese traditional music at NHK, the national broadcasting organization. In 2007, he released his first album, Shofu, with Victor Entertainment.